We all know that marriage is a wonderful blessing, but it takes work to make it a successful and flourishing relationship. Some would argue that military marriages take extra effort to succeed due to the demands of deployments, frequent relocations, constant separations and the overall demands of military life. 1. Set clear expectations- B.L.U.F. There is an often used acronym in the military, B.L.U.F., and it means Bottom Line Up Front. When we can be forthright and direct with our spouses about our expectations, our lines of communication can stay open, our true intent and motives can be better understood, and there’s no second guessing what the other person is thinking. With constantly changing schedules and the demands of duty, knowing what my husband needs from me gives my own mission a better focus. When I openly express my expectations to him, he, too, knows what I need and can work toward finding a solution or offer his support. In training, soldiers are assigned a Battle Buddy. Battle Buddies help and assist one another inside and outside of combat. Sometimes I fall into the negative thinking trap that it’s me against my spouse or me against his military service. I am not competing with either. By the nature of our marriage covenant, we are live-in Battle Buddies. I look out for my husband and likewise, he keeps my best interests in mind. We are on the same team; there to help and assist one another through thick and thin, in good times and in bad. Marriage is a partnership for life and with that comes many benefits: companionship, intimacy, friendship and building a wonderful life and family together. Serving in the military most often means leaving behind the support of family relationships. It’s vital to the health of a military marriage to have other folks in your circle with whom you can find fellowship. These friends or mentors can offer help in a crisis and give encouragement to us when times are difficult. Our support systems may come from neighbors, a church family, para-military groups or auxiliaries, or maybe even others in our unit. A strong support system means that we are never alone. Having a network of other people who know us, love us, and even advocate for us can help to anchor our marriages. Most of us serving in the military support the mission of the United States and believe in the power of patriotism, honor, and duty. That covering makes us feel part of something with purpose and aim. Likewise, having our lives centered in faith in God can also help to give our marriages hope in Someone greater than ourselves. When military life throws us a difficult hurdle, our faith will help to center and sustain us. It can help to remind us that God’s providence and love for us will remain steady amidst a life of constantly changing rhythms. 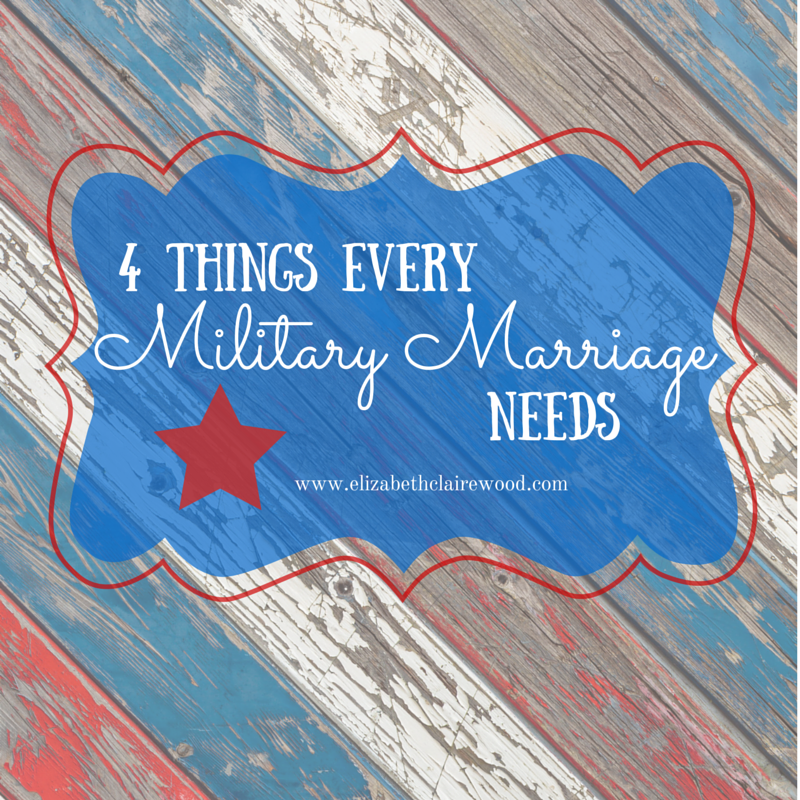 Have you ever wondered if you were cut out for life as a military spouse? Maybe, like me, you have struggled to make sense of the unique challenges life as a dependent demands. Maybe, like me, you have felt alone or hopeless when navigating these difficult transitions. I am here to say that you are not alone and there is hope! 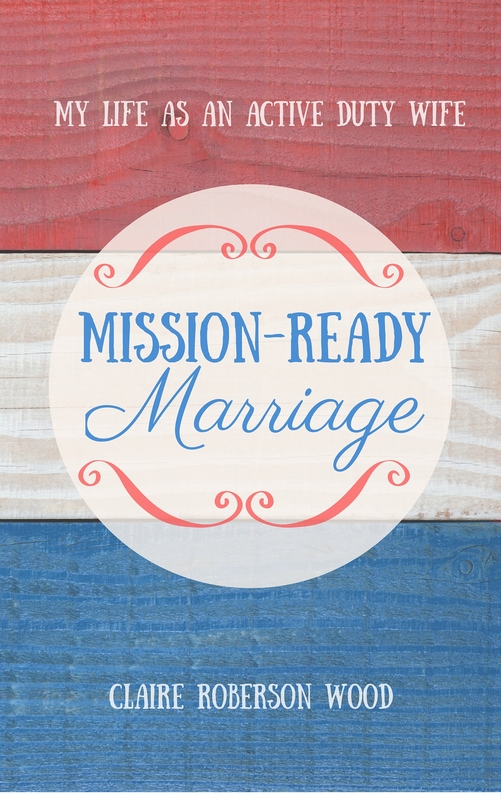 I have written Mission Ready Marriage as a memoir and testimony of God’s faithfulness during my early years as a current active duty Army wife. It’s a tool for meaningful conversations with other military spouses enabling us to open the door to true vulnerability, authenticity, and what it’s really like to live our lives in submission to God, our spouses, and even the military.